An extra 200 people are needed to donate blood in Penrith this Easter to boost blood supplies for cancer and trauma patients. The hunt is on for donors between Thursday, March 29 and Monday, April 3, with blood donors in short supply before, during and after the holiday. Blood Service spokesperson Jemma Falkenmire said the need for blood doesn’t take a holiday. “One blood product, platelets, only lasts for five days – not much longer than a hot cross bun – so we need a constant supply,” she said. 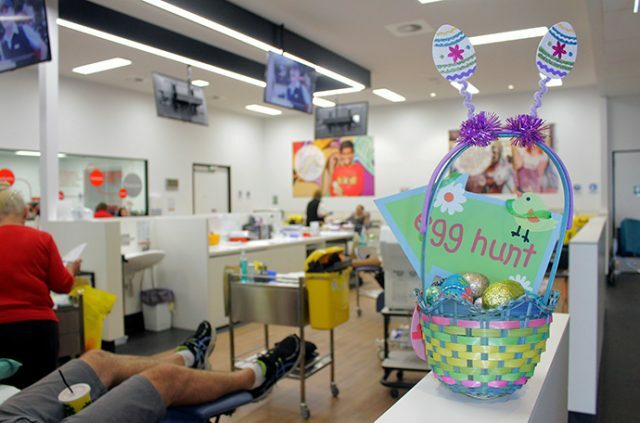 “Around Easter many regular blood donors are away, which means blood supplies can dip if we don’t have enough good eggs to fill the gap. Miss Falkenmire encouraged new donors to be among those who respond to the call for blood this Easter. “One in three people will need blood in their lifetime, yet currently only one in 30 donates,” she said. “Donating blood has never been easier; donors can now manage their appointments online, track their donation history and even view their health statistics.